Cuff: 4.7-oz 88% polyester/12% spandex stretch-woven. Reviewer: 6’, 185 lbs, typically wears a size Large. 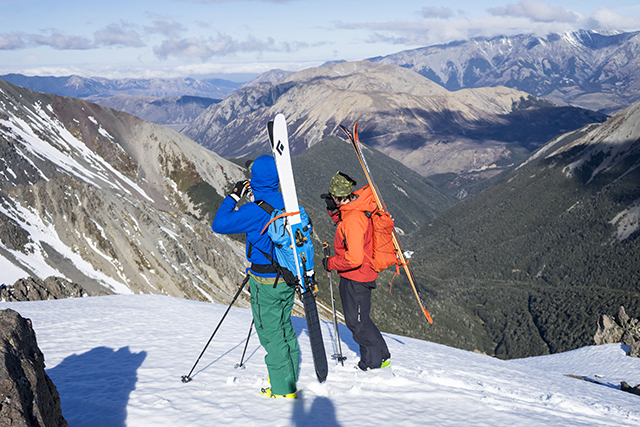 We just got back from ski touring and lift-accessed skiing at Porters and Craigieburn Valley, New Zealand, and, overall, came away impressed with the new Nano-Air Light. You can check out our review of the original Nano-Air Hoody for a description of the Full Range insulation and the basic concepts behind the Nano-Air Line. The new Nano-Air Light uses a revised and lighter (40 g) version of the Full Range insulation that is intended to offer higher air permeability than the original Nano-Air. Interestingly, the Nano-Air Light uses a higher weight shell material (1.6 oz, 30 denier) than the Nano-Air (1.3 oz, 20 denier) although that difference is not obvious in the hand. Paul Forward in the Patagonia Nano-Air Light Hoody, Craigieburn Valley, NZ. I have worn size Large in many Patagonia products over the years, and the Nano-Air Light fits me similarly — but a bit slimmer. Due to its stretch, it is still easy to get on, and I would not consider bumping up to an XL. The Nano-Air Light is a bit too tight to routinely pull on over top of my hardshell, as is often my practice when ski touring with other puffy jackets, but I was able to pull it on over my Patagonia Houdini (as in the above photo) without difficulty. As of now, the Nano-Air Light only comes in a hooded version with a ¾ zip. If I had my choice, I think I’d rather have a full zipper to make getting the Nano-Air Light on and off quicker and easier, and for even more venting options. I doubt that it would add much weight and we’d love to see Patagonia offer a full-zip version in the future. In my opinion, the hood on the Nano-Air Light is pretty much perfect — it has just enough coverage to keep the spindrift and wind off of my face and neck without feeling cumbersome or obstructing vision in any way. I’ve worn it over a variety of hats and under my helmet, and it has been ideal throughout. It’s pretty unusual for me to buy a midlayer with a hood because I generally dislike having to deal with multiple hoods (I always have my Patagonia Houdini with me, and my shell always has a hood). But the Nano-Air Light hood is so functional that I probably wouldn’t go for a hoodless version if Patagonia offered one. This is always one of the toughest things to evaluate, especially when trying to compare one jacket to another. That said, the Nano-Air Light probably is the most breathable mid-layer I’ve ever used aside from a light fleece pullover, and it may even be close to something like a Patagonia R1 Hoody, which has significantly less wind resistance and insulation than the Nano-Air Light. It’s rare that I skin in anything more than a light merino shirt and a Patagonia Houdini jacket, but while ski touring at Craigieburn and Porters, there were several occasions when it was chilly enough that I spent time booting and skinning in the Nano-Air Light. While wearing it by itself over my light merino baselayer, the comfort range was higher than any other puffy I’ve used with just enough wind and breeze breaking through to cool me off when I overheated. When wearing it coupled with the Black Diamond Helios Jacket, the whole combination was remarkably comfortable even for some extended periods of hiking. Overall, the Nano-Air Light lives up to Patagonia’s claims on breathability. Again, I’d say that Patagonia is pretty spot on with their claim that the Nano-Air Light is around 30% less insulative than the Nano-Air. When worn by itself over a light merino baselayer, I am pretty comfy being relatively sedentary down to the mid 40F temp range, and I think it would work well for skinning or hiking in much colder conditions. Under a shell, it’s been a great layer for lift-served skiing into the 30’s, while also not being too hot to leave on for the occasional 15-20 minute hike (without having to shed layers or helmet). My suspicion is that for cold, mid-winter ski touring, I’ll be more apt to take a thicker down puffy or even my Nano-Air to put on at the top of runs and for the added safety of carrying a very warm layer. But for both early and late season ski touring, all sorts of summer adventures, and maritime climate lift-served skiing, the Nano-Air Light will be a go-to piece. And for any of you who who would be willing to give up some of the warmth of the original Nano-Air Hoody in exchange for a bit more breathability, I suspect that you will feel the same way. When I think about the best, most versatile clothing that I’ll wear a lot throughout the year, my guess is that the Nano-Air Light will be second only to the Patagonia Houdini. I was interested in the part where you where it over your Patagonia Houdini. I don’t use a Houdini or similar and instead tend to where at least a thermal and a hardshell (NZ spring skiing) and then layer between those two for Japan in January. I’d be interested in your thoughts on dressing for different climates and your thinking about layering. An article would be fantastic. I always use shells for outerwear and layer under that. My mid layers are always bits of this and that that I have accumulated over the years and I’m sure that if I was strategic I’d be able to get a few more pieces that made more sense and travelling easier and lighter. Hi, Jamie – we were just talking about an article like this when we were down in New Zealand, so stay tuned! Where you wear it is, of course, what I meant to type. That’s great. I need to replace a tonne of gear so look forward to reading it. In this scenario, I believe Paul is mainly talking about ski touring (and he would wear the Nano-Air under a hardshell when at the resort?). Are you talking about resort skiing or ski touring, Jamie? Wearing the Nano-Air under the hard shell I get, but I was intrigued that Paul talked about wearing it over the top of his hard shell. I predominantly ski back and side country (including ski touring) but also enjoy the groomers with my wife and daughters. Thus, my needs vary on pretty much any trip. Furthermore, as I live in sub-tropical Brisbane, I always have to travel a long way to ski and so like to pack as efficiently as possible. I have managed to muddle through pretty well over the but am always interested in finding newer and better gear. Ski clothing has come a long way since the footy jerseys I used to wear in the 70s. I think you may have misunderstood? A Houdini is a windshirt, not a hardshell. Its more of a softshell than anything. If I remember correctly, Paul only wore his Houdini when touring, and only wore the Nano Air Light over the Houdini. When in the resort, he used a hardshell instead of the Houdini. The Nano Air Light went underneath the hardshell when at the resort. In the review, Paul says that he found it difficult to pull the Nano-Air Light over his hardshell “as is often (his) practice”. He then went on to say that he was able to pull it on over my Patagonia Houdini without difficulty. I am interested to know more about how Paul manages his ski clothing and was particularly interested that he “often” put a Nano-Air on over his hardshell. Say you are skinning up the mountain. It’s 20F/-7C. Due to the high effort, you need very little insulation, just a base layer is enough. As you climb onto the upper reaches of the mountain, the wind picks up, temp drops a bit and it might even start to snow a bit. You add a thin shell, either hardshell or Windshirt, to prevent the icy wind from blowing right through your base layer. Once at the top, you stop and get ready to ski down. Maybe take in the view, fine tune your route.You are now standing exposed on the top of a mountain, not generating heat. So, you throw a insulating jacket over the top of your shell. As you ski down, and you start generating more heart, as well as less wind, you take a quick pause, stuff there puffy back in your back and keep skiing. The reason it fits over the Houdini, is that it’s a super thin 120g windhsirt, so both thinner and more flexible than a hardshell. Thanks Tjaard, that’s very helpful. I’ll definitely look at getting “Extreme Alpinism”. Hey Guys, apologies for the delayed response here. I’ve been out in remote parts of Alaska for most of the last month and have limited internet connectivity for a while. Tjaard is right on the with his response. When I’m ski touring, or just generally traveling in the mountains, I like an adjustable system. When I get dressed in the morning I almost always start with a light wool or synthetic shirt, then put on my Houdini (as Brian said, a very lightweight wind shirt with a hood), then my insulating layer. The hardshell usually stays in my pack until I encounter high winds or precip. As I’m climbing I’ll drop the insulating layer and then the houdini if I’m still hot and it’s not too windy. If I encounter a lot of wind or precip, as we did in NZ on most days of touring, I’ll often put on my shell over the Houdini on the way up for an extra barrier from the wind. As I’m ripping skins, figuring out the line or chatting on top I’ll usually grab my insulating layer again and throw it on over whatever I’m wearing. Often, I’ll just leave the insulating piece on while I ski down but it’s almost always the first thing I want to take off as soon as I start skinning again so I like having it on the outside. I try to minimize taking stuff off and on unnecessarily and like to be able quickly take on or off my insulation piece. It makes me more efficient at transitions and less likely have my jackets blow away into the snowy abyss while i’m changing. The Nano Air Light is a bit different than other insulation I’ve used before as it’s quite thin and breathable. I find myself more prone to leave it on for much of the day if it’s cold out. I suspect that if it becomes a daily part of my kit during mid-winter ski touring in Alaska I’ll augment with a light down or synthetic vest since Nano Air light isn’t quite warm enough on it’s own for mid-winter temps if stationary for a bit or in an emergency. As Brian said, for lift served skiing I usually wear some light to midweight breathable insulation under my shell. In the past this has often been a light fleece shirt or jacket but I can see the Nano Air Light filing that role nicely this season. It’s rare for me to ski the resort on a sunny day because I’ll usually be in the backcountry when it’s nice out. I’m typically riding lifts in inclement weather so the hardshell on top makes sense. Insulation jackets also usually have lighter, less durable face fabrics than hardshell so I like to keep them under the shell at the ski hill. Johnny G, I’m a sweaty dude and my stuff gets smelly pretty fast. I’d say that after a solid week of big touring days, my girlfriend will be asking me to wash it. Thanks, Paul. Along with Tjaard’s comments, that’s really great. I really hope you do an article on dressing for different conditions. Like many people, I have to be economical with my packing and so want to get away with taking as little gear as possible. I think I’m like a lot of enthusiastic amateurs and need my gear to be able to be flexible enough to adapt from moderate climates like Australia, to colder climates like Kiroro or b/c Utah and from slow days out with friends and family who prefer life-serviced corduroy to long days skinning or riding tow-ropes and then boot-packing Craigieburn or Temple Basin. 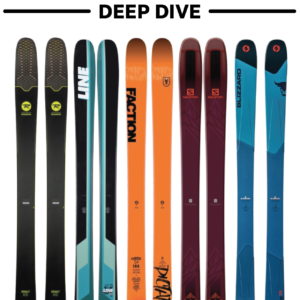 Just as I spent hours and hours researching a one-ski quiver (Kingswood Rocketype, FWIW), I’m now wanting to buy a handful of top quality pieces that I can layer and mix and match to meet all types of conditions. How many days can I wear this before it starts to smell? So, I’m not sure everyone understands the concept of this piece. The Nano-Air Light Hoody is part of Patagonia’s “High Alpine Kit” and was designed more for alpine/ice climbing than for skiing. I’m not saying it can’t be used for skiing, but I believe there may be better options out there marketed for alpine touring/ groomers. Back to the Nano-Air Light – Along with the Nano-Air Hoody, Patagonia designed these pieces with the caption, “Put it on, leave it on!” Obviously, the FullRange insulation technology was developed as a synthetic insulation that breathes substantially better than goose down or PrimaLoft, etc. Patagonia designed a breathable product that, in theory, allows the user to wear during highly-aerobic activity and for when the user stops in theory, should trap enough body heat to keep the user “warm” during static activity. The Nano-Air Light Hoody, in my opinion and from what I gather via Patagonia, was designed to be worn ninety-percent of the time while alpine climbing. The lightweight (40 g/m2) FullRange insulation, combined with the face fabric, should allow the climber to use this piece as an outer layer until wind/precipitation outreaches the Nano-Air Lights boundaries. When the weather impedes the climber, Patagonia designed the Nano-Air Light to be work under a minimalistic waterproof/breathable shell, like the Patagonia M10 Jacket/Anorak. Finally, at the belay, Patagonia designed the Grade VII Down Parka for maximum, static insulation. Again, this system was designed for alpine climbing use and Patagonia’s main goal was to save/shave weight whenever/wherever possible. The less layers to carry on a climb, the less weight that a climber needs to haul up a route. this is the entire vision Patagonia and their alpine climbing ambassador, Steve House, had with this line. For anyone looking for insulation while downhill skiing or while at a belay, hydrophobic goose down and/or traditional synthetic insulation, such as PrimaLoft Gold, works way better for these intentions. The Nano-Air Light Hoody was not designed to be worn over layers as it was designed to be your “main” layer until a lightweight hardshell is warranted. Interesting comments indeed, particularly in light of previous comments. I certainly didn’t realise this. I don’t climb and so my interest is clothing for skiing only. For nearly 40 years I’ve taken a pretty ad hoc approach to dressing for the snow – in the 1980s I’d frequently wear jeans and rugby guernseys (like most teenage boys I was dumb and gung-ho). For that reason, my gear has been less than perfect with a real hodge-podge of stuff – the only things I ever really worried about were jackets and socks. However, I’m keen to spend a bit of money for the new season and am looking for advice and guidance. I had high hopes for Patagonia mid-layers, so your comments are enlightening. 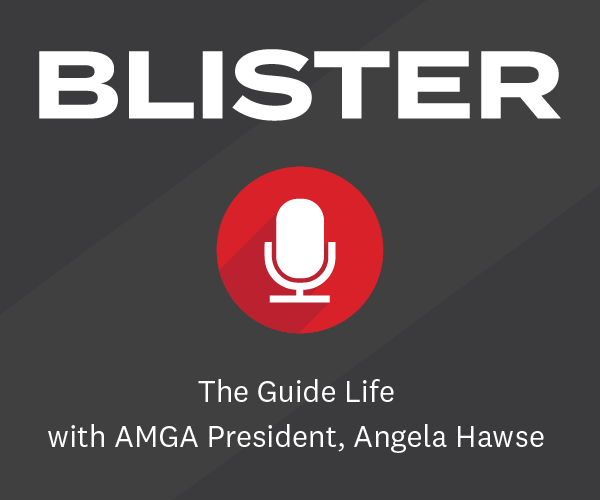 Hopefully, Blister’s proposed article on this will answer all my questions. 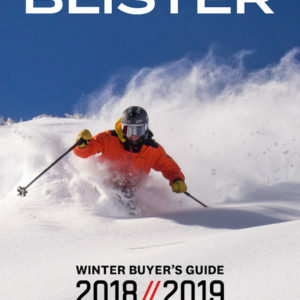 If you’re looking for a warm midlayer for downhill skiing, I would look at the down/synthetic options from Black Diamond that uses PrimaLoft Gold Down Blend. PrimaLoft uses seventy percent hydrophobic goose down and thirty percent PrimaLoft Gold synthetic insulation in this technology. This makes for an incredibly warm, yet water resistant (think perspiration) midlayer. 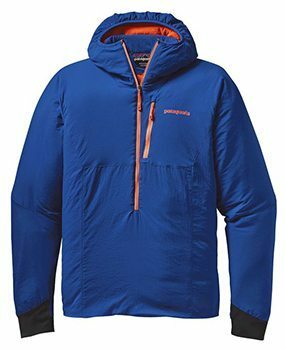 If you want to stay with Patagonia, I would highly recommend their fleece “Regulator” series coupled with a Nano Puff Jacket, which uses 60 g/m2 PrimaLoft Gold synthetic insulation (no goose down). Currently, PrimaLoft Gold is the industry standard (best) synthetic insulation you can buy. This is also an item of contention, but with my experience, I support PrimaLoft Gold as the top choice for synthetics. On that note, if I were looking for something to keep me warm above anything else, ie: breathability, I would choose an 800 (or more) fill power down option. Hands down, goose down will keep you way warmer and much quicker then a stand-alone synthetic option will. Down side is goose down does not breath and is very fragile to water/moisture. Choose hydrophobic treated down. I personally think Rab makes some of the best down garments available. 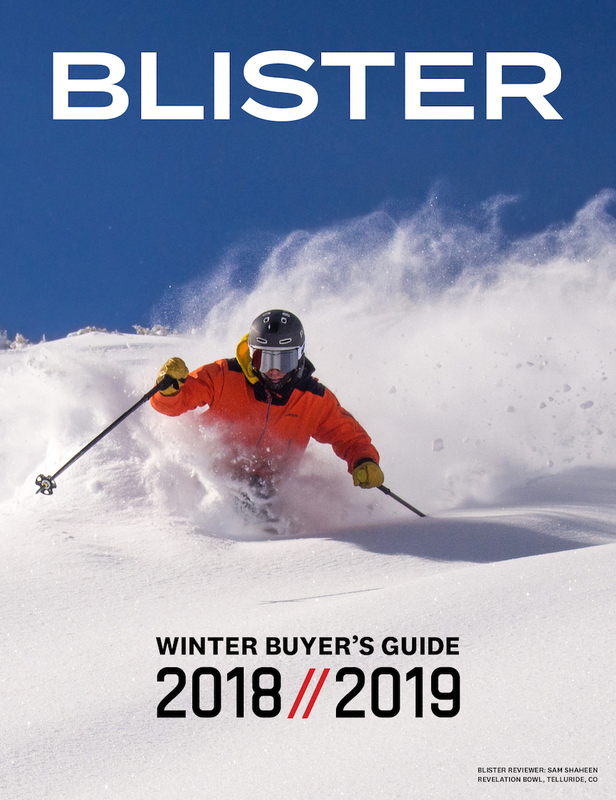 In conclusion, I personally don’t think the FullRange insulation, or any other “active insulation,” is the best option as a midlayer for downhill skiing when warmth is sought over breathability. 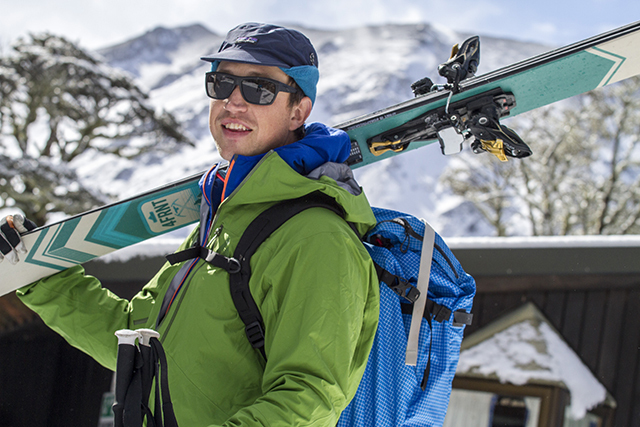 Patagonia’s FullRange insulation was designed to be used during highly-aerobic activity, which downhill skiing is not. Active insulations will not keep you as “warm” as the aforementioned options will. Thanks for the follow up Chris. I’ll definitely look into that gear. I’ve used bits and pieces of Rab over the years and have been very happy with it. The challenge for me is less about staying warm when going down than it is about the dramatic difference change from going down to going back up again and the transition between each. I agree with your description of Pata’s intent with the Nano air series. Where is differ is in the application afterwards. On a cold day, skin up in very light base layer and Nano-Air Light (or Nano Air Hybrid even you want full zip and even less warmth). Unzip as needed for thermo regulation. Due to the high breathability, any moisture you accumulate will dry rapidly. Near the top, if it’s very windy, add a windshirt. At the top of the climb, pull on a traditional, insulated jacket over the top. Nano Air (both ‘regular’ and light) and similar products (Polartec Alpha) are the perfect MIDLAYER. I define a mid layer as something worn underneath a (hard/soft/wind)shell. In this scenario, the extra warmth and windproofness of a traditional insulated jacket are not needed, and the low breathability can become an issue. 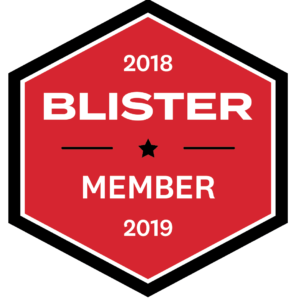 With a shell, you are already limiting breathability, I would not want to add two layers of windproof fabric and insulation to that moisture resistance. Traditional insulated (Down, Primaloft etc) garments excel as outer insulators, for low exertion times: rest stops, camp and sleep. Their down proof fabric blocks wind, meaning they don’t need a shell over them. Between limiting convective as well as radiant heat loss, and using ultralight materials, they offer the most warmth per weight. Their smooth inner fabrics also slide easily over layers. Nano air Light (Hybrid), Windshirt, Hardshell, Insulated Parka. Skin in base layer, pull on Nano Air at rest stop and at top. Start skiing down in Nano Air Light, remove when hot. Bring windshirt or hardshell as backup. Ski in baselayer and Nano air Light . Bring windshirt or hardshell as backup. Skin up in baselayer and Nano air Light. Near top, add windshirt. At top, add insulated parka. Remove parka after part of the descent. Ski in base layer and Nano air Light underneath insulated Parka. Ventilate parka on the descent. On an unrelated note, Paramo is hard to beat as outerwear for ski(touring). No membranes and waterproof for rain and snow. For maximum versatilely they now offer jackets with the shell and liner(fleece) separate. Just like anything else, insulation is user dependent. For me, and during very high exertion activities, such as skinning uphill while AT skiing, even the Nano-Air Light Hoody is too much insulation. For activities like skinning uphill, especially while wearing a pack or towing a pulk sled, I wear no insulation; only a Patagonia Capilene Lightweight long-sleeve synthetic baselayer and a breathable windshell like the Black Diamond Alpine Start Hoody. I just generate too much heat. I do agree though, while AT skiing and using the Nano-Air Light Hoody as a midlayer while at the top of your objective would work great. 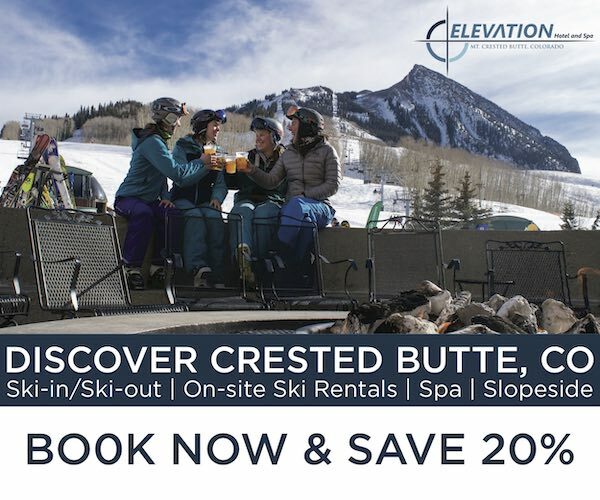 I just don’t think active insulation is the best midlayer for resort skiing as there’s no potential for high exertion like there is in the backcountry. After using the Nano-Air Light Hoody for a full season of ice and alpine climbing, I can certainly say the exterior of this hoody is not a “shell” by any means. Any wind, especially winter winds, cuts right through the hoody and warrants a windproof shell during exposure. Everyone uses gear differently and because I use this piece for climbing, I feel that, when warranted, it’s the perfect midlayer under my Arc’teryx Alpha FL Jacket. I don’t wear the Alpha FL all the time while climbing, but when it’s windy and/or snowing, I find this combination is tough to beat. I also agree with the recent review on bedrockandparadox.com. The Nano-Air Light Hoody is definitely a fleece killer as not only does it breath just as well, if not better, but it dries almost instantly when coupled with your body heat. To me, that’s a huge game changer. It also weighs less for its warmth and packs down significantly better that pile fleece. Have you had a chance to try the nano air light pants? I’m curious about these for ski touring as well as they’re described as good for stop and go activity. I’m Calgary based and ski in temps that probably average -10C with days colder and other days close to 0C. I wouldn’t use the bottoms on the warmer days as i’m find in my merino baselayer with shell pant. What i’m curious about is if the nano air light pants can be hiked up to get above the ski boot, or if they are comfortable enough to stuff into the top of the boot.